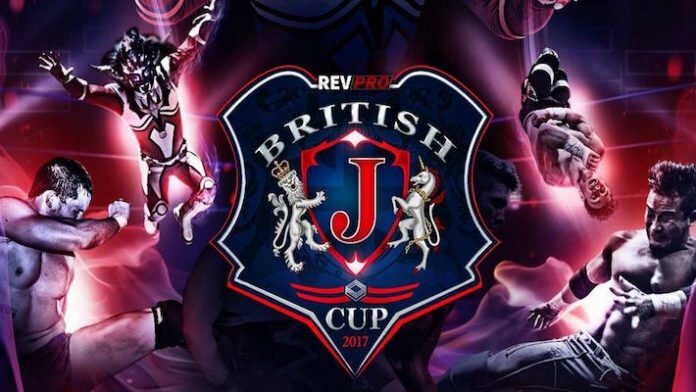 Revolution Pro Wrestling (Rev Pro) has announced that the British J Cup will be returning later this year. The company sent out a tweet stating that “JUSHIN THUNDER LIGER will look to defend his crown as 16 of the best Jr Heavyweights in the world will compete over 2 days for the 2nd Annual British J Cup Sep 8/9.” The shows will be taking place at the Bowlers Exhibition Centre in Manchester, England. This will be the second iteration of the tournament, the debut field in 2017 included Jushin ‘Thunder’ Liger, Kushida, Will Ospreay, Marty Scurll, Kyle O’Reilly, Josh Bodom, Ryusuke Taguchi and Tiger Mask IV. As previously mentioned Liger won the new trophy and he looks to be the first confirmed competitor for this September in Manchester. With the wealth of talent at Rev Pro’s disposal through their NJPW affiliation we could see a number of Junior division stars make their way into this increasingly prestigious field of competitors. Hopefully the likes of Hiromu Takahashi, Will Ospreay, Marty Scurll, KUSHIDA et al can be booked for the two nights.